Push your linen shirts to the back of the closet—it’s time to make room for fall. With the new season coming up quick, we asked one of our expert stylists, Amanda, to give us the low-down. Here, she shares her tips and tricks for pulling together a fall wardrobe fit for the office. When your shirts and pants are neutral, consider making your shoe the statement piece in your business-professional outfit. “It’s the first thing many people notice and can make quite the impression,” Amanda says. Looking to stand out? Try the single monkstrap. 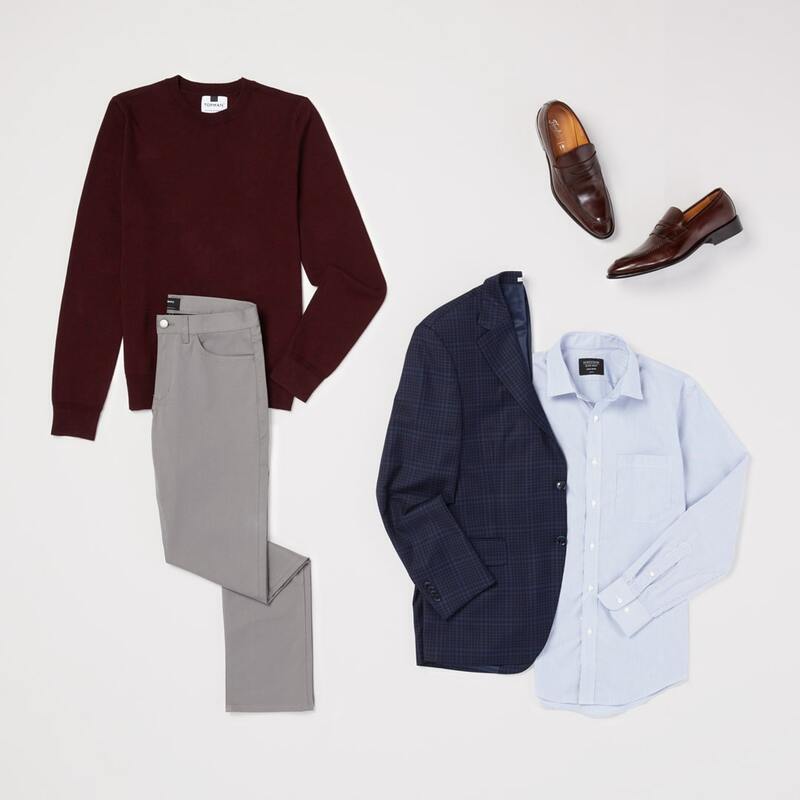 Our stylist likes this option because it’s different from the standard loafer or oxford that most are wearing Monday through Friday. 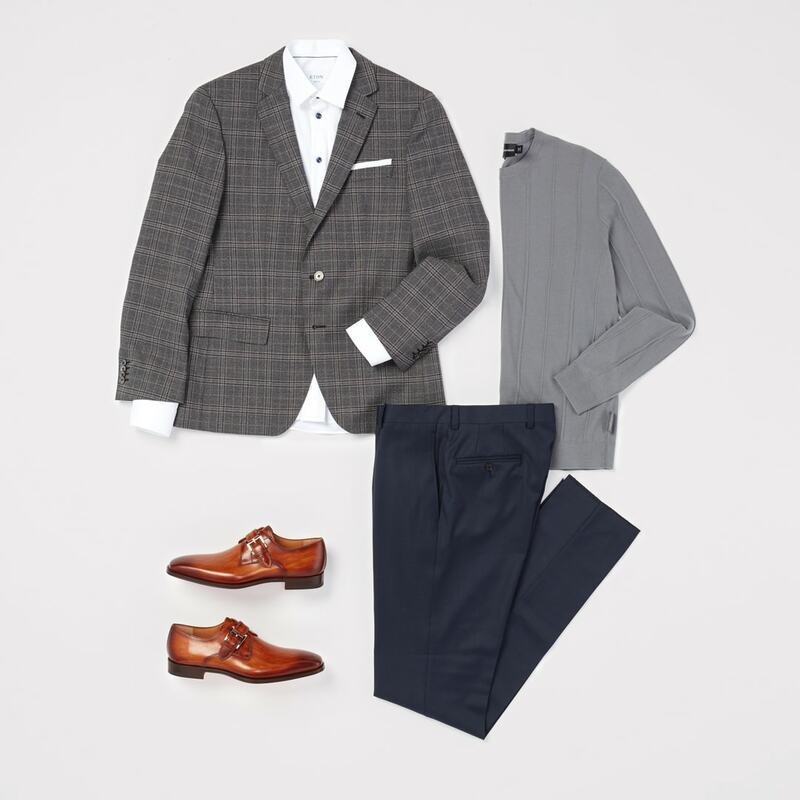 A jersey blazer or “swacket” is a fun addition to every guy’s wardrobe. “It’s a much more casual approach to a traditional wool style, but always brings the outfit to the next level,” Amanda promises. 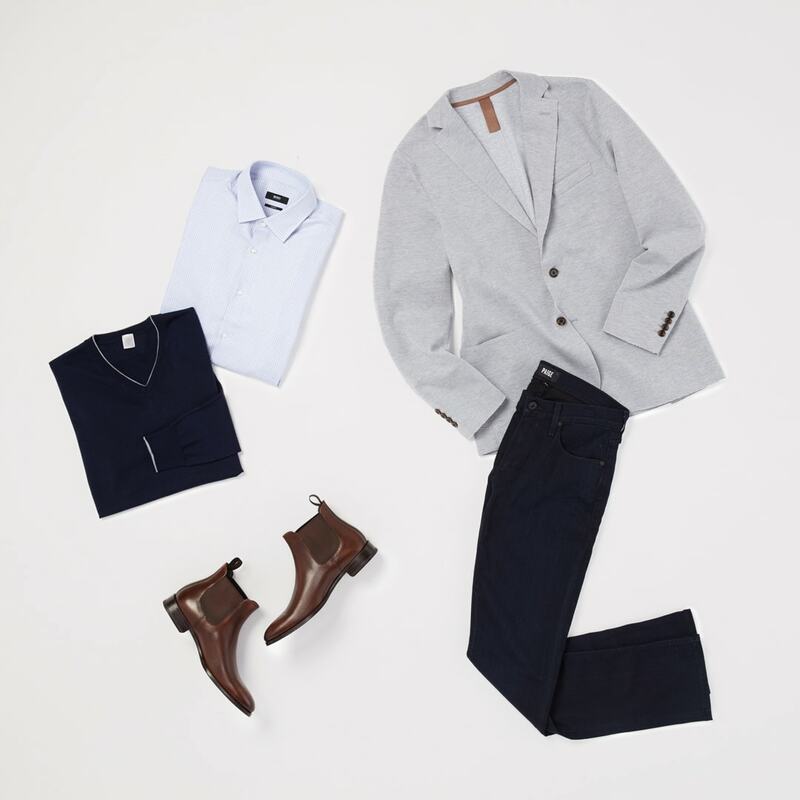 To give your blazer extra mileage on the weekend, she suggests layering one over a henley and pairing it with sneakers or Chelsea boots for a more casual vibe. 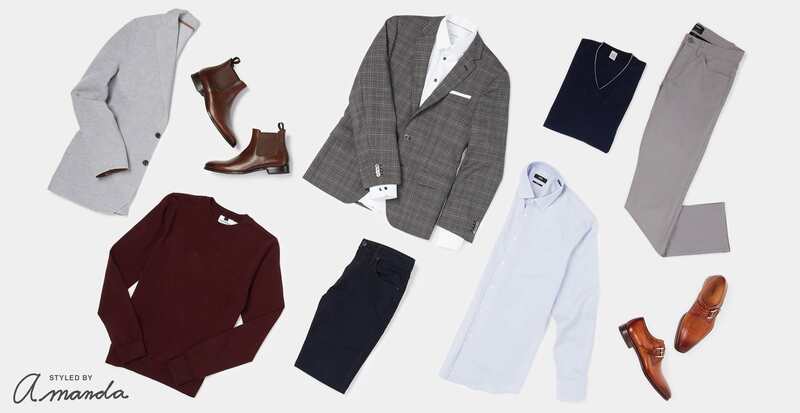 If anything is the epitome of the “desk to date night” look, it’s the true blue sport coat. “A navy sport coat is a versatile fall purchase because you can wear it socially and professionally,” Amanda says. To make the best impression possible, check out some non-iron, wrinkle-resistant, performance dress shirts that’ll stay looking crisp and new even after a long day at work.